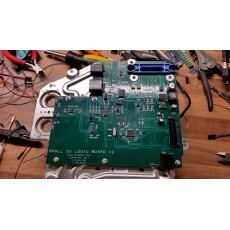 Logic board PCB for the Tesla Small Drive Unit fully built and tested. Price includes worldwide tracked postage and fitting of your current sensors and WiFi adapter. Support via the openinverter.org forum.